veggie dinner - Go Fit Girl! | Go Fit Girl! 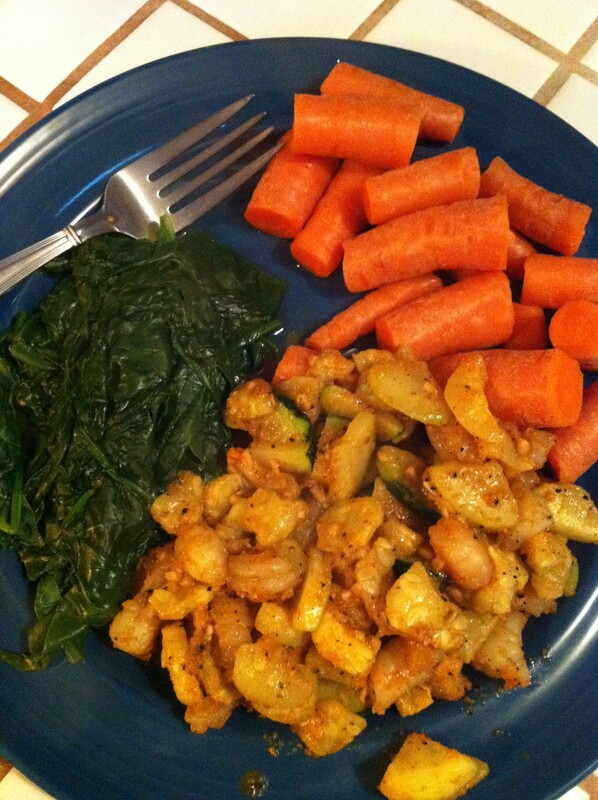 My veggie-infused dinner Monday night: steamed spinach, boiled carrots and shrimp and zucchini sauteed in Pam, garlic and New Orleans Cajun seasoning.